Photo challenge: make us pause and take a second look to understand the scale of the elements in your photo. 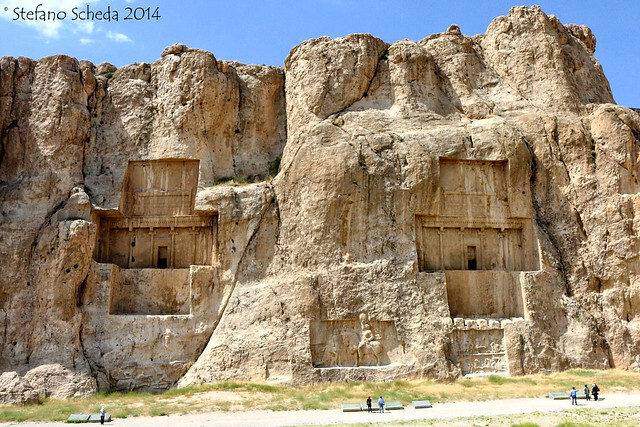 Achaemenid tombs – Naqš-e Rostam, Iran. Really impressive and beautiful, Stefano! There are fascinating, Stefano. Thanks for sharing them. Thank you for stepping by, Janet. Great photo. But great for you, to be there and take these photos! What a brilliant response to the challenge! Pingback: “Scale” Photo Challenge | The Bohemian Rock Star's "Untitled Project"
I have never seen these particular tombs before. Thanks for sharing. Thanks for stopping by and for commenting, Kim. It was smart to inlcude the people here – it really does help the viewer understand the scale.